Autism and asthma are two conditions that concern me personally; a number of close friends have children who are on the autism spectrum, and my daughter works as an autism therapist. She also suffers from asthma, as do millions of others in her generation and younger. Now it appears that there may be a deep connection between these conditions – one that we never would have suspected. In the good old days, environmental problems were easy to spot, and relatively easy to manage. If a river was polluted or the air in a city was unbreatheable, we could identify the sources and clean them up. If an oil tanker leaked or an oil well blew up, the mess was horrendous, and remediation was expensive but it could be done. Two articles in this week’s Sunday New York Times show that this is no longer the case. No – there still plenty of these simple environmental challenges all around us. But we are learning that we are facing an entirely new class of problem: changes in our own bodies caused by unforeseen and unintended consequences. In autistic individuals, the immune system fails at this balancing act. Inflammatory signals dominate. Anti-inflammatory ones are inadequate. A state of chronic activation prevails. And the more skewed toward inflammation, the more acute the autistic symptoms. Nowhere are the consequences of this dysregulation more evident than in the autistic brain. Spidery cells that help maintain neurons — called astroglia and microglia — are enlarged from chronic activation. Pro-inflammatory signaling molecules abound. Genes involved in inflammation are switched on. Better clues to the causes of the autism phenomenon come from parallel “epidemics.” The prevalence of inflammatory diseases in general has increased significantly in the past 60 years. As a group, they include asthma, now estimated to affect 1 in 10 children — at least double the prevalence of 1980 — and autoimmune disorders, which afflict 1 in 20. Both are linked to autism, especially in the mother. One large Danish study, which included nearly 700,000 births over a decade, found that a mother’s rheumatoid arthritis, a degenerative disease of the joints, elevated a child’s risk of autism by 80 percent. Her celiac disease, an inflammatory disease prompted by proteins in wheat and other grains, increased it 350 percent. Genetic studies tell a similar tale. Gene variants associated with autoimmune disease — genes of the immune system — also increase the risk of autism, especially when they occur in the mother. … Scientists have repeatedly observed that people living in environments that resemble our evolutionary past, full of microbes and parasites, don’t suffer from inflammatory diseases as frequently as we do. Generally speaking, autism also follows this pattern. It seems to be less prevalent in the developing world. Usually, epidemiologists fault lack of diagnosis for the apparent absence. A dearth of expertise in the disorder, the argument goes, gives a false impression of scarcity. Yet at least one Western doctor who specializes in autism has explicitly noted that, in a Cambodian population rife with parasites and acute infections, autism was nearly nonexistent. 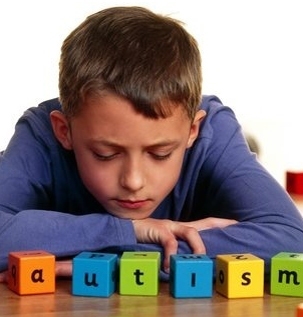 For autoimmune and allergic diseases linked to autism, meanwhile, the evidence is compelling. In environments that resemble the world of yore, the immune system is much less prone to diseases of dysregulation. I call this the Rubik’s Cube problem: The Cube is a challenge because any attempt to move one piece into a desired position immediately puts many other pieces out of position. This is what our current environmental dilemma looks like, with autism, asthma and many other problems. We have manipulated our environment with the best of intentions. Getting rid of parasites, treating infections, what could be wrong with that? But somehow we’ve moved one too many pieces of the biological Rubik’s cube that we live in, and we’ve disturbed deep things in creation that we don’t understand. This pattern shows up in many different ways. In another article in yesterdays’ Times, Nicholas Kristof examines new research showing that the class of chemicals known as endocrine disruptors (BPA – bisphenol-A) are capable of producing serious biological effects at doses far lower than anyone ever expected. These chemicals are every where, in everything we touch (plastics, canned food, even ATM receipts? According to Kristof, 90% of us have BPA in our urine) and they are there, generally, for good reasons. BPA lines canned-food cans to prevent corrosion and spoilage, for example. Pregnant mice were exposed to BPA at dosages analogous to those humans typically receive. The offspring were less sociable than control mice (using metrics often used to assess an aspect of autism in humans), and various effects were also evident for the next three generations of mice. The BPA seemed to interfere with the way the animals processed hormones like oxytocin and vasopressin, which affect trust and warm feelings. And while mice are not humans, research on mouse behavior is a standard way to evaluate new drugs or to measure the impact of chemicals. “It’s scary,” said Jennifer T. Wolstenholme, a postdoctoral fellow at the University of Virginia and the lead author of the report. She said that the researchers found behaviors in BPA-exposed mice and their descendants that may parallel autism spectrum disorder or attention deficit disorder in humans. Kristof only touches on one or two consequences of this class of substance; I have research that shows many more ways these chemicals are suspected of causing harm at low doses, including but not limited to sexual developmental disorders, something that is not surprising in that many of these are chemically similar to the hormone estrogen. Again, let me be clear: I am not castigating any industry for wanton abuse. I am just observing that we have reached a point in modern life where the unintended consequences of our manipulation of God’s creation are more serious and long lasting than we ever thought possible. What is the solution? On one level, we have no choice but to tackle these issues as they arise. If autism or asthma has its roots in an immune dysregulation problem, we can address that, with medications or by other means. If BPA is dangerous, we can put tomato soup in cans that don’t have it. But this is all treating the symptoms, and if the Rubik’s Cube analogy holds, every new treatment is likely to cause another series of problems, some of which we won’t know about until a new generation of children is born with a new class of problem. Managing symptoms is fine if that is all you have. But it would be nice to be able to solve the fundamental problem, wouldn’t it? And what is that fundamental problem? Sinful human beings manipulating God’s creation without God. You’ve heard it from me before – it all comes back to the same thing: Environmental problems are sin problems, and there is only one answer to sin: the redemption that comes through Jesus. If you haven’t read Our Father’s World, get it – and check out chapter 5: Reversing the Curse. Earth Day at 40: What is the Environmental Movement Thinking These Days?